CD reviews: "Continental Drifter," "Padlock on the Blues," "The Blues Keeps Me Holding On" and "Change in My Pocket"
These reviews first appeared in the January 29, 2000 edition of the American Reporter. Want to know where the Rolling Stones get the inspiration to keep going on at what's supposed to be a young person's business? Their idols  bluesmen like Muddy Waters and Howlin' Wolf and Lightnin' Hopkins; men who kept rocking out until they died. It's a blues tradition that lives on, that of aging with grace while conceding nothing to time. New releases from some of blues' elders show that age need pose no obstacles to a nice romp. Charlie Musselwhite has only of late been coming in to his own  like a lot of the '60s generation who chose the blues over the more lucrative rock scene, Musselwhite's career has been one of one-night stands at juke joints and beerhouses across the world. But he's one of the finest harmonica players out there, and he matches that with a gruff yet charming singing style that gives his music a signature sound  within a couple of bars, you know it's Musselwhite, whether singing or blowing. So any Charlie Musselwhite album is worth hearing; his latest, though, is such a gem it deserves every bit of accolades it gets. There hasn't been a blues album this ambitious since James Cotton's 1996 acoustic set "Deep in the Blues," which matched him with guitarist Joe Louis Walker and jazz bassist Charlie Haden. Like Cotton's masterpiece, Musselwhite's latest succeeds so well because he dares to step outside the blues to fulfill his vision of the blues. As he puts it in his liner notes, "Some people say that blues is 12 bars and 3 chords. I say blues is deeper than that. Blues is a feeling. It can go anywhere. It can come from anywhere." 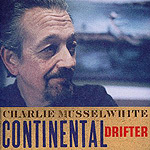 And so on "Continental Drifter," Musselwhite covers a whole swath of the Americas  from the Delta to Havana, with a special emphasis on melding Cuban sons with the blues. Sitting in with Cuarteto Patria, one of Cuba's best traditional outfits, and doing a cover of "Siboney," Musselwhite pulls off the improbable. It doesn't always work, but he and his Cuban counterparts find enough common ground to establish a shared groove. Blues purists may not care for it, but for anyone with a bit of adventure in their soul, this is worth checking out. 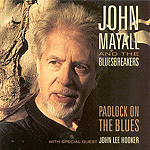 John Mayall's name is iconic in both the rock and blues worlds. The man whose original Bluesbreakers combo from the early '60s gave us both Fleetwood Mac and Eric Clapton has never gone away  he's just not been able to keep his band stocked with that kind of talent on a consistent basis. Not much more than above-average as keyboardist and singer, Mayall's real talent is his ear for the music. His brew of blues, rock and jazz has kept up with the times these nearly four decades; his ability to consistently generate fresh songs is what's kept him active all these years. And on his latest outing, he once again has a band solid enough to stand up to his vision of the music. Guitarist Buddy Whittington may not be the next coming of Peter Green or Clapton, but he's pretty damn good  a sight better than guest guitarist Coco Montoya, if not nearly as well known. The horn charts (played wonderfully by jazz saxophonist Ernie Watts and Texas stalwart Joe Sublett) fleshes out Mayall's arrangements nicely; the band has the same loose spirit that Mayall's best combos have always had. 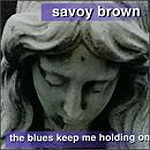 Like Mayall, the name Savoy Brown conjures up pleasant memories of the '60s and '70s. A hard-charging electric blues boogie outfit, Savoy Brown's albums were must-haves for anyone serious about collecting rock music in the LP era. The latest incarnation of Savoy Brown includes only one link to the past, lead guitarist and singer Kim Simmonds. But Simmonds was always the heart and soul of Savoy Brown anyway (and having only the leader still beats hell out of having a former backup drummer touring the South last year as The Beach Boys ...). Simmonds has fleshed out the band with a bass and drums for a nice power trio approach that gives him lots of room to show off on guitar  again, something to please his old fans. There are an even dozen songs, most newly written by Simmonds and bass player Nathaniel Peterson. The key to all this working so well, though, is that Simmonds has lost none of his enthusiasm or verve. His solos still have that snap to them, the band rocks out with that bass-heavy beat, and by the third track it seems like old times again. 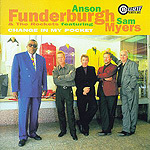 Sam Myers and Anson Funderburgh have one of the best partnerships going in music today. For 14 years, Myers has sang and Funderburgh played guitar for their band The Rockets. The combination has been magic. Their latest release is just as good as any of its predecessors; maybe better. Myers' impassioned singing and harmonica balance nicely against Funderburgh's restrained guitar leads, and the rest of the band keeps that nice Texas groove going. The 12 songs here are a nice blend of classic covers (Willie Dixon, Buddy Guy) and strong originals, with the title track being one of the band's best yet.